Includes: Overview, Board of Directors and Chairs. Find everything you need to effectively deliver 21st century agricultural education. 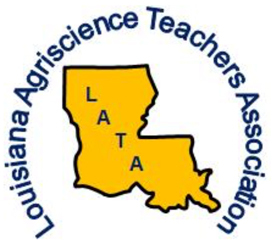 Louisiana Agriscience Teachers Hall of Fame sponsored by Louisiana Farm Bureau's Ag in the Classroom. The FFA would not be made possible without our ag teachers. If you want to learn more about agricultural education and how to become an agricultural educator, see the information below. If you want to learn more about the National Teach Ag Campaign, see NAAE’s website and resources at National Teach Ag Campaign | National Association of Agricultural Educators. Please check back for 2019 Conference dates and information. If you missed any of Dr. Smith's Monday updates from the 2018-2019 school year, you can find them here. If you missed any of Mr. LeJeune's Wednesday updates from the 2018-2019 school year, you can find them here. Learn from the experts! Throughout the year, Dr. Smith will conduct webinars to provide you with ways to improve your agricultural education program. Check this section for available job openings across the state!